With your silestone countertop installation you are getting not only a countertop that is hardy and gorgeous, but also affordable. 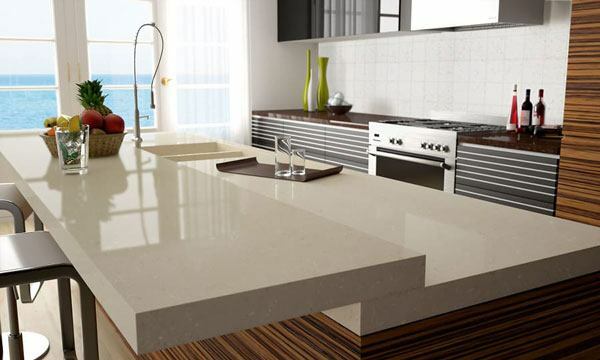 This stone surface is the leading natural quartz material as it a non-porous and tough to give you superior performance and durability. Used in a wide variety of applications, silestone has beauty and practicality that remains almost matchless. Being completely natural Silestone quartz countertops come in a huge range of colors giving an aesthetic appeal combined with a strength that maximizes its lifespan. Most countertops can contain plastic polymers that undermine the luster and general look compared to natural stone variants. Because of its non-porous quality silestone will keep its shine with little maintenance even without sealing. Coming in a wide range of different extravagant colors, silestone countertops offer a better color consistency than their granite cousins. Able to work with just about any kitchen style or design, silestone also has antimicrobial protections built in during the creation process. While this doesn’t supersede the need for typical cleaning practices, it does help protect you and your family against bacteria. Call Phoenix Flooring at 602-344-9997 to talk to a Phoenix silestone countertop expert today.